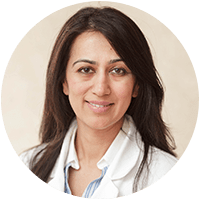 Akifa F. Samdani, MD is a board-certified physiatrist who attended SUNY Downstate College of Medicine. Following medical school, she completed an internship in internal medicine followed by a residency in physical medicine and rehabilitation at New York Presbyterian-Weill Cornell Medical Center. She has served as an Assistant Professor at Columbia University’s College of Physicians and Surgeons and Weill Cornell Medical College. She is a member of the American Academy of Physical Medicine and Rehabilitation. Dr. Samdani is board-certified in physical medicine and rehabilitation.